Click on the titles and tabs to expand the groups. AbouHaidar Mounir G. Professor Biotechnology, Genetics, Microbiology, Molecular Biology Virology. Research interests lie in the area of the molecular biology of plant and human viruses. Development of "transgenic" plants resistant to viruses: mechanisms of resistance. Research interests lie in the area of the molecular biology. Bruce Ashley E. Associate Professor Animal Biology, Cell Biology, Developmental Biology, Genetics, Molecular Biology Our goal is to understand how morphogenesis and embryonic tissue patterning are linked. We use cellular, molecular and embryological techniques to study these questions in the zebrafish embryo. 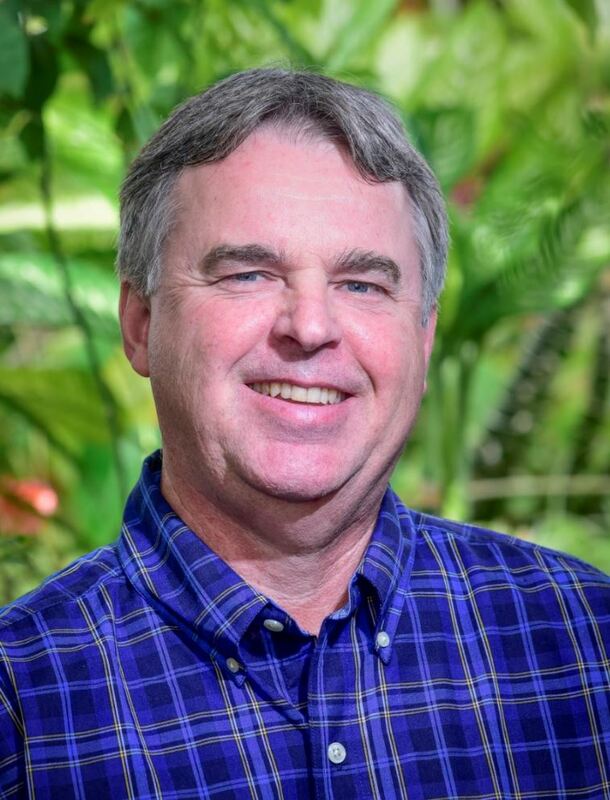 Buck Leslie T. Professor Animal Biology, Cell Biology, Neurobiology, Physiology We use a comparative neurobiological/physiological/molecular approach to understand how animals survive environmental extremes, in particular how painted turtles and goldfish survive without oxygen for weeks. Animal Biology Why do humans often heal by scarring while other animals can regrow entire limbs? We combine live imaging and molecular techniques in the regenerative axolotl to uncover principles of tissue regeneration and repair. Garside Christopher S. Associate Professor, Teaching Stream Lecturer I am interested in finding ways to increase student engagement with lecture and laboratory materials by providing students with transferrable concepts and skills. Goring Daphne R. Professor Cell Biology, Molecular Biology, Plant Biology My overall research interests are to understand how plant cells communicate through signal transduction pathways to regulate plant growth and development in species in the mustard family (Arabidopsis, Brassica, canola). Guttman David S. Professor Bioinformatics & Computational Biology, Comparative Genomics, Evolutionary Biology, Functional Genomics, Genetics, Microbiology, Pathology, Plant Biology Comparative, evolutionary and functional genomics. Evolution of host specificity and virulence in pathogenic bacteria. Microbiome studies of human and plant diseases. Harris Tony J.C. Professor Cell Biology, Developmental Biology, Molecular Biology, Systems Biology We study how molecular circuits control and coordinate cell polarity, adhesion, cytoskeletal and membrane trafficking machinery to build and re-shape cells during animal development. 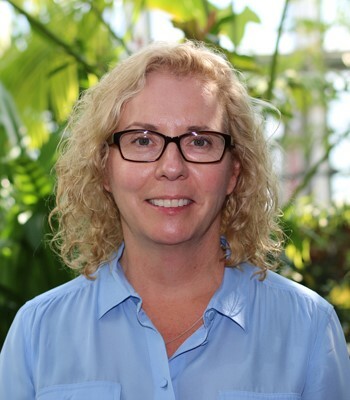 Lumba Shelley Assistant Professor Comparative Genomics, Developmental Biology, Genetics, Molecular Biology, Plant Biology, Systems Biology Our goal is to elucidate molecular mechanisms underlying dormancy and germination in both non-parasitic and parasitic plants. We apply systems biology approaches to generate signalling networks during seed germination. McCourt Peter Professor Biotechnology, Chemical Biology, Developmental Biology, Functional Genomics, Genetics, Molecular Biology, Plant Biology, Systems Biology The laboratory is focused on how hormones regulate developmental responses in higher plants. In particular, we use functional and chemical genomics approaches to dissect abscisic acid (ABA) and strigolactone signaling. Developmental Biology We study how stem cells maintain the ability to self-renew and differentiate to specialised cells. Our focus is on finding the on/off instructions in DNA that regulate genes required for stem cell function. Moses Alan M. Associate Professor Bioinformatics & Computational Biology, Comparative Genomics, Evolutionary Biology, Microbiology, Molecular Biology, Proteomics, Systems Biology DNA and protein sequences that control gene regulation. Population genetics and molecular evolution of regulatory networks. Development of computational and statistical methods for analysis of large biological datasets. Nambara Eiji Professor Biotechnology, Chemical Biology, Comparative Genomics, Functional Genomics, Genetics, Metabolomics, Molecular Biology, Plant Biology, Systems Biology My research team investigates molecular mechanisms by which plants regulate plant hormone metabolism. Neumann Melody J. Associate Professor, Teaching Stream Lecturer My primary research interest is the scholarly and scientific analysis of teaching practices to improve student learning in cell and molecular biology. Ouellette B.F. Francis Associate Professor Bioinformatics & Computational Biology The Ouellette group is involved NGS data analysis in cancer, and we try to identify the best tools and methods for the functional genomic interpretation of cancer genome data. Plotnikov Sergey V. Assistant Professor Animal Biology, Cell Biology, Developmental Biology, Quantitative Biology We are interested in understanding the mechanisms utilized by mammalian cells to sense and transduce physical inputs from the microenvironment and how cell migration is guided by the mechanical cues. Provart Nicholas J. Professor Bioinformatics & Computational Biology, Comparative Genomics, Functional Genomics, Molecular Biology, Plant Biology, Structural Biology, Systems Biology Bioinformatic tools and analyses for hypothesis generation in plant biology. Wet-lab validation of hypotheses generated using such tools. Cell Biology Understanding chromatin regulation during development using C. elegans as a molel system. Tepass Ulrich Professor Cell Biology, Developmental Biology, Functional Genomics, Genetics, Molecular Biology, Systems Biology We study the mechanisms of cell polarity and cell adhesion of epithelial cells during animal development. Our work is relevant for several human diseases, in particular cancer and blindness. Winklbauer Rudolf Professor Cell Biology, Developmental Biology, Quantitative Biology We study the molecular and cellular mechanisms and the tissue mechanical basis of vertebrate gastrulation. Woodin Melanie A. Professor Cell Biology, Neurobiology The Woodin Lab is focused on discovering the cellular mechanisms underlying inhibitory GABAergic synaptic plasticity in the hippocampus. These discoveries are made by combining cell biology, fluorescence imaging, computer modeling, and electrophysiology and optogenetics. Yoshioka Keiko Professor Biotechnology, Cell Biology, Functional Genomics, Genetics, Molecular Biology, Plant Biology, Structural Biology, Systems Biology Signal transduction of stress responses in plants with an emphasis on immunity; environmental effects on pathogen resistance; signal transduction networks in abiotic and biotic stress responses; production of stress resistant plants. Bonin Robert Assistant Professor Neurobiology, Physiology, Psychology & Behaviour We use in vivo and in vitro approaches to identify and address cellular mechanisms of pathological sensory plasticity contributing to chronic pain and sensory disorders. Corbit Laura Assistant Professor Animal Biology, Neurobiology, Physiology, Psychology & Behavior I study the biological bases of reward-seeking and how different brain circuits contribute to distinct forms of learning and how experiences like drug exposure or diet alter learning and behavioural control. Our team develops methods to uncover biomechanical influences of the muscle stem cell and its niche on skeletal muscle tissue homeostasis and repair. Reber Michael Associate Professor Systems Biology, Molecular Biology, Bioinformatics & Computational Biology, Cell Biology, Psychology & Behevior How is the visual system network wired? How does it function? These are the questions we are addressing in the lab, using state-of-the-art experimental and computational approaches. Ryu William Assistant Professor Microbiology, Neurobiology, Quantitative Biology, Systems Biology We are interested in the biophysics of sensory transduction and behaviour. Sokolowski Marla B. Professor Prof Sokolowski's lab is interested in individual differences and behaviour and how they arise. They mostly use Drosophila to investigate gene by environment interactions and epigenetics around the regulation of individual differences in foraging, feeding, metabolism as well as learning and social behaviour. 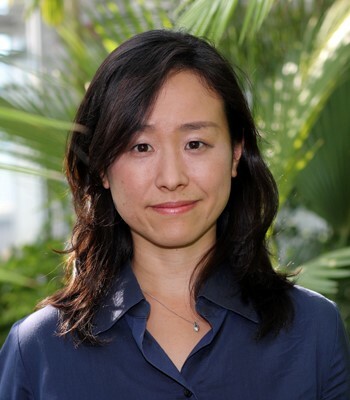 Takehara-Nishiuchi Kaori Associate Professor Animal Biology, Neurobiology, Physiology, Psychology & Behavior My research program aims to understand how the cortical network stores a permanent record of daily experiences and how it deteriorates in memory disorders. Zhen Mei Professor Neurobiology, Developmental Biology, Systems Biology, Genetics, Quantitative Biology, Bioinformatics & Computational Biology We combine electron microscopy, genetics, genomics, optogenetics, calcium imaging, and electrophysiology to study how a neural circuit develops and operates, and apply C. elegans models to study neurological disorders. Butler David G. Professor Emeritus Animal Biology, Physiology Endocrine control of water and electrolyte balance in vertebrate animals. Hormonal control of water and electrolyte balance in vertebrates; comparative endocrinology of the adrenal cortex. Larsen Ellen W. Professor Emerita Developmental Biology, Evolutionary Biology, Genetics Development of foliose lichens, self-organization in development and evolution. Mechanisms of environmental effects on the penetrance of mutations. Tobe Stephen S. Professor Emeritus Animal Biology, Neurobiology, Physiology Comparative endocrinology of invertebrates, particularly Arthropods. Reproduction in insects and crustaceans. Varmuza Susannah L. Professor Emerita Developmental Biology, Genetics, Molecular Biology My research area is Epigenetics, with a focus on genomic imprinting in mammals and its impact on development. Brown Ian R. Professor Cell Biology, Molecular Biology, Neurobiology Cell and molecular biology of heat shock (stress) proteins in the mammalian nervous system and their role in neurodegenerative diseases. Campbell Malcolm M. Professor Biotechnology, Cell Biology, Developmental Biology, Functional Genomics, Genetics, Molecular Biology, Plant Biology, Systems Biology Genome biology - exploring genome-wide responses to environmental stimuli. Interplay of development, epigenetics, transcriptome, & metabolome. Gazzarrini Sonia Associate Professor Cell Biology, Developmental Biology, Functional Genomics, Genetics, Molecular Biology, Plant Biology My research interests involve understanding the molecular mechanisms that regulate the transition from dormancy to germination and the role that hormones and abiotic stresses play in this processes. 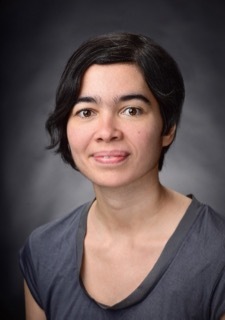 Gonzales-Vigil Eliana Assistant Professor Plant Biology, Functional Genomics, Molecular Biology, Metabolomics, Systems Biology, Biotechnology, Genetics How, when and why do plants synthesize metabolites that cure our illnesses and flavour our foods? The lab is figuring out the answers to questions realated to plant specialized metabolism. Guzzo Christina Assistant Professor Microbiology, Pathology, Cell Biology, Molecular Biology My research aims to delineate the molecular mechanisms of HIV-1 control and pathogenesis, including the role of host immune cell proteins (soluble and cell-derived) in altering HIV infection. Harrison Rene E. Professor Cell Biology My lab uses advanced fluorescent imaging to study the cell biology of immune cells and bone cells under normal and pathological states. Hasenkampf Clare Professor Cell Biology, Genetics, Plant Biology Chromosome interactions during meiosis are the focus of the Hasenkampf lab. McGowan Patrick O. Associate Professor Animal Biology, Bioinformatics & Computational Biology, Functional Genomics, Genetics, Neurobiology, Physiology, Psychology & Behavior, Systems Biology Epigenetic mechanisms of neurodevelopment and behaviour. Focus on molecular mechanisms that mediate the adaptation to psychosocial stress and complex disease in humans and other species. We combine wet lab and computational approaches to study how plants use cell surface receptors to sense their environment, integrate this information, and regulate growth and immunity. Nash Joanne E. Associate Professor Neurobiology We employ a multidisciplinary approach to understand the cell and molecular mechanisms underlying neurological diseases such as Parkinson's disease. It is hoped that these studies will lead to better treatments for patients suffering from these diseases. Richards Blake A. Assistant Professor Bioinformatics & Computational Biology, Developmental Biology, Neurobiology, Psychology & Behavior, Systems Biology My lab studies the neurobiology of learning and memory. We take a multidisciplinary, circuit-level approach to examine how neurons encode information about our past experiences. Terebiznik Mauricio R. Associate Professor Cell Biology, Microbiology, Structural Biology My laboratory specializes in cellular microbiology and cell biology. We investigate different unexplored aspects of the interplay of macrophages, and epithelial cells with intracellular pathogens and toxic fibres like asbestos. Thiele Tod Assistant Professor Neurobiology, Psychology & Behavior, Systems Biology Our research uses zebrafish to investigate how neural circuits control behaviour. To gain insights into neural circuit function we use a combination of behavioural analyses, calcium imaging, optogenetics and genome engineering. Treanor Bebhinn Associate Professor Cell Biology My research focuses on the cellular and molecular mechanisms controlling immune cell activation through the development and implementation of cutting edge optical microscopy. Vanlerberghe Greg C. Professor Plant Biology We investigate the impact of abiotic and biotic stress on plant energy metabolism. We uncover the signature responses of metabolism to stress and elucidate how these responses support stress acclimation. Welch Kenneth C. Associate Professor Animal Biology, Evolutionary Biology, Physiology, Systems Biology I use and integrative and comparative approach to study the physiology of muscle function, fuel use, metabolism and energetics during locomotion. Zhao Rongmin Associate Professor Developmental Biology, Molecular Biology, Physiology, Plant Biology, Proteomics, Systems Biology The mechanism of action of molecular chaperones and their roles in plant development, and in organelle functions; the mechanism of regulated protein degradation by the 26S proteasome. Animal Biology Our lab uses a systems level approach to explore the relationship between the maturation of sensitive brain circuits, the emergence of complex behaviour, and stress sensitivity in mice. Erb Suzanne Associate Professor Animal Biology, Neurobiology, Psychology & Behavior The neurobiology of substance dependence and the relationship between stress and long-term vulnerability to drug use. Fitzpatrick Mark J. Assistant Professor Animal Biology, Evolutionary Biology, Functional Genomics, Genetics, Neurobiology, Psychology & Behavior Research in my laboratory focuses on the evolutionary genetics of animal behaviour. We focus primarily on the rover/sitter foraging polymorphism found in fruit flies." Fulthorpe Roberta R. Professor Evolutionary Biology, Functional Genomics, Microbiology, Plant Biology Evolution of catabolic activities in bacteria of soils, waters and the plant endosphere. The role of Recombinase in Trio elements in catabolic gene evolution. Ito Rutsuko Associate Professor Systems Biology, Psychology & Behavior, Neurobiology, Animal Biology We are interested in identifying brain circuits that underlie contextual and affective influences over motivated behaviour, and the neural and neurochemical mechanisms of approach avoidance decision making. We also use animal models of addiction, schizophrenia and depression to establish how approach-avoidance decision making is disrupted in diseased states. Kronzucker Herbert J. Professor Biotechnology, Cell Biology, Chemical Biology, Metabolomics, Physiology, Plant Biology, Systems Biology My laboratory is dedicated to the exploration of transport systems in plants, and the relationship between transport pathways and plant productivity. Lovejoy Nathan R. Professor Animal Biology, Bioinformatics & Computational Biology, Comparative Genomics, Evolutionary Biology, Functional Genomics, Genetics I am interested in the relationship between naturally occurring genomic variation and animal function. Current research focuses on the evolution of genes involved in electric signal production in Amazonian fishes. Molecular Biology, Physiology, Plant Biology, Systems Biology My general research interest lies in the interaction between genome, epigenome, and phenotypic performance in plants with emphasis on persistent effects of past experience and molecular memory systems. 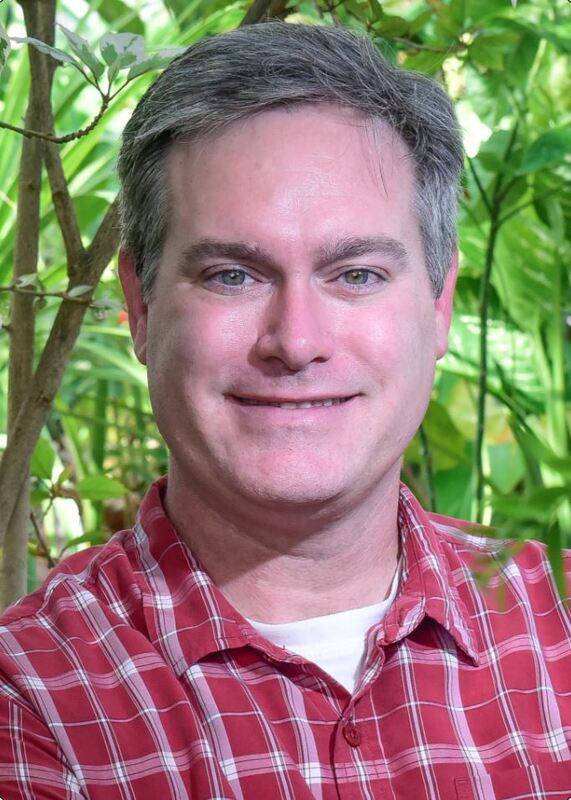 Ensminger Ingo Associate Professor Physiology, Plant Biology Research in the Ensminger lab is focusing on the physiology of plants to understand the molecular, cellular and physiological mechanisms underlying adaptation and acclimation of plants to their environment. In particular we are interested in the mechanisms by which environmental change impacts trees and forests from molecular to species and ecosystem levels. The understanding of these mechanisms is not simply for scientific interest. It addresses some of the fundamental questions in global change research and is indispensable to the justification of how plants will respond to climate change. Biology, Neurobiology, Molecular Biology and Genetics Our lab's goal is to understand how complex neural circuits develop from an initial population of stem cells. As a model system, we use the Drosophila optic lobe, which is the visual processing center of the fruit fly brain. Espie George S. Professor Biotechnology, Cell Biology, Microbiology, Molecular Biology, Physiology, Plant Biology, Structural Biology We are interested in the understanding the structure and function of the cyanobacterial CO2 concentrating mechanism and how it affects photosynthetic activity and photoautotrophic growth under a variety of environmental stresses. Lange Angela B. Professor Animal Biology, Molecular Biology, Neurobiology, Physiology I am an insect physiologist who studies how the nervous system and visceral tissues communicate and integrate information allowing for coordinated behaviours such as egg-laying, digestion, and circulatory function. Physiology We are interested in the circuit mechanisms underlying the orchestration of the ocular motor behavior and visual information processing, which is essential for proper vision. We examine the functioning of the nervous system, using insects as experimental models. We establish the mechanisms by which the nervous system communicates; examining hormonal, synaptic, and modulatory mechanism. Phillips Michael Assistant Professor Cell Biology, Chemical Biology, Metabolomics, Molecular Biology, Plant Biology, Quantitative Biology, Systems Biology My research focuses on the control of flux in plant metabolic networks and the adaptive responses of the plant metabolome to stress at the interface of primary and secondary metabolism. Systems Biology We study how a unique neuronal cell type is specified and maintained during mammalian development. To understand these processes, we use cutting-edge stem cell differentiation and genomics approaches in neural development and disease. Senatore Adriano Assistant Professor Animal Biology, Bioinformatics & Computational Biology, Cell Biology, Evolutionary Biology, Functional Genomics, Neurobiology, Physiology, Proteomics We seek to understand the function and dysfunction of several ion channels that play important roles in the nervous system, and further, how these and other electrogenic genes were adapted during nervous system evolution for complex cellular coordination and animal behavior. Through a broad phylogenetic approach, we explore the functional and physiological properties of 1) voltage-gated calcium channels that drive muscle contraction and neurotransmitter release, 2) peptide and acid-gated ion channels (i.e. DEG/ENaC) involved in pain signaling, learning and memory, and synaptic transmission, and 3) the sodium leak channel NALCN, involved in circadian rhythm, neural excitability, and sensitivity to anesthetics. Researchers in the lab integrate a broad range of techniques using several animal model systems, including behavioral analysis, microscopy, molecular biology, electrophysiology, cell culture, proteomics, and genomics/transcriptomics and bioinformatics. Stewart Bryan Professor Animal Biology, Cell Biology, Neurobiology, Physiology Our research is aimed at understanding the cellular and molecular mechanisms that govern the function and development of neurons. We use a variety of genetic, molecular, biochemical, imaging and physiological techniques aimed at determining how neurons communicate with other cells. Westwood J. Timothy Associate Professor Bioinformatics & Computational Biology, Developmental Biology, Functional Genomics, Molecular Biology, Systems Biology The Westwood lab primarily studies the regulation of gene transcription, using the Drosophila heat shock genes as a model system, as well as post-transcriptional gene regulation during early Drosophila embryogenesis. Gerlai Robert Professor Genetics, Neurobiology, Psychology & Behavior Neurobehavioural genetic analysis of zebrafish with a focus on alcohol effects, social behaviour, learning and memory. Hilfinger Andreas Assistant Professor Quantitative Biology, Systems Biology, Bioinformatics & Computational Biology We develop and test mathematical models to describe the significant stochastic variability observed across populations of genetically identical cells. Holmes Melissa M. Associate Professor Animal Biology, Neurobiology, Psychology & Behavior My primary research interest is the reciprocal relationship between social interactions and adult plasticity in the mammalian brain. Kanelis Voula Associate Professor Structural Biology We study nucleotide binding domains (NBDs) from the sulfonylurea receptors (SURs). The SUR proteins, which are members of the ATP binding cassette (ABC) superfamily of proteins, form regulatory domains of ATP sensitive K+ channels. Mutations in the NBDs of the SUR proteins result in diabetes, hyperinsulinism, and cardiac disorders. Kohn Linda M. Professor Emerita Comparative Genomics, Evolutionary Biology, Plant Biology Fungal Biology: Systematics, Population Biology, Trophic Interactions, Experimental Evolution, Speciation. Martin Loren Assistant Professor Neurobiology, Animal Biology, Psychology & Behavior, Molecular Biology, Physiology We investigate the relationship between stress and pain by looking at the neurological changes induced by chronic pain and how cognitive and social factors alter pain sensitivity. 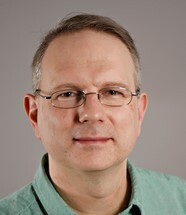 McMillen David R. Associate Professor Bioinformatics & Computational Biology, Biotechnology, Quantitative Biology, Synthetic Biology, Systems Biology Systems and synthetic biology. Design, construction, and analysis of synthetic networks (feedback controllers, logical operators, etc.) in microorganisms and (through collaboration) mammalian cells, to alter cellular behaviour from within. Microbiology The Ness lab investigates how mutation and recombination interact with selection and genetic drift to drive evolution. We combine natural and experimental populations with new fangled genomic technologies. Shin Jumi Associate Professor Protein design and engineering Directed evolution Artificial transcription factors Our work uses molecular and cellular biology and biophysical approaches to design small proteins that target DNA sequences important in disease. For example, our 66 amino acid protein ME47 targets the E-box sequence, which is involved in over half of all cancers, and competitively inhibits native transcription factors from binding their DNA targets. ME47 can be used to modulate breast cancer cell growth in mouse models. We also study how continuous exposure to pollutants, like quantum dots, can cause organisms to genetically adapt. Zovkic Iva Assistant Professor Neurobiology, Animal Biology, Psychology & Behavior, Epigenetics Epigenetic mechamisms of learning and memory in rodents; role of histone variants in memory formation and maintenance; age-related cognitive decline. O'Day Danton H. Professor Emeritus Cell Biology, Developmental Biology My lab focuses on the role of calmodulin binding proteins in cellular function. Note that this tab lists all 3 campuses and 102 faculty. The search tool on the right side of this page applies a dynamic filter, for example, typing “cyt” with the search box and it will show you who is working on “Cytoskeletal dynamics” or “oocytes”. Alternatively entering “neuro” will show you who is working on “neurodegenerative diseases” and “neurobiology of learning and memory”. The idea is to show all faculty on one page and enable narrowing a search based on key terms. AbouHaidar Mounir G. Full Professor St. George Biotechnology, Genetics, Microbiology, Molecular Biology Virology. Research interests lie in the area of the molecular biology of plant and human viruses. Development of "transgenic" plants resistant to viruses: mechanisms of resistance. Research interests lie in the area of the molecular biology. Bonin Robert Cross Appointment Assistant Professor St. George Neurobiology, Physiology, Psychology & Behaviour We use in vivo and in vitro approaches to identify and address cellular mechanisms of pathological sensory plasticity contributing to chronic pain and sensory disorders. Brown Ian R. Full Professor UTSC Cell Biology, Molecular Biology, Neurobiology Cell and molecular biology of heat shock (stress) proteins in the mammalian nervous system and their role in neurodegenerative diseases. 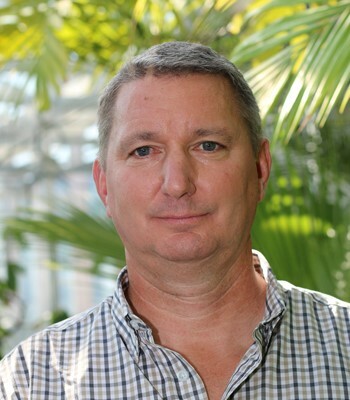 Bruce Ashley E. Full Associate Professor St. George Animal Biology, Cell Biology, Developmental Biology, Genetics, Molecular Biology Our goal is to understand how morphogenesis and embryonic tissue patterning are linked. We use cellular, molecular and embryological techniques to study these questions in the zebrafish embryo. Buck Leslie T. Full Professor St. George Animal Biology, Cell Biology, Neurobiology, Physiology We use a comparative neurobiological/physiological/molecular approach to understand how animals survive environmental extremes, in particular how painted turtles and goldfish survive without oxygen for weeks. Butler David G. Full Professor Emeritus St. George Animal Biology, Physiology Endocrine control of water and electrolyte balance in vertebrate animals. Hormonal control of water and electrolyte balance in vertebrates; comparative endocrinology of the adrenal cortex. 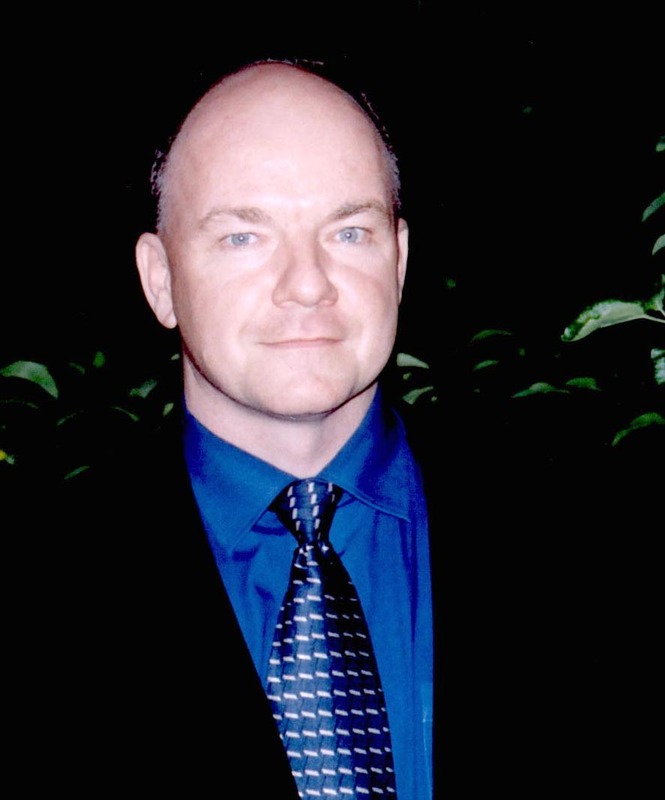 Campbell Malcolm M. Full Professor UTSC Biotechnology, Cell Biology, Developmental Biology, Functional Genomics, Genetics, Molecular Biology, Plant Biology, Systems Biology Genome biology - exploring genome-wide responses to environmental stimuli. Interplay of development, epigenetics, transcriptome, & metabolome. Corbit Laura Cross Appointment Assistant Professor St. George Animal Biology, Neurobiology, Physiology, Psychology & Behavior I study the biological bases of reward-seeking and how different brain circuits contribute to distinct forms of learning and how experiences like drug exposure or diet alter learning and behavioural control. 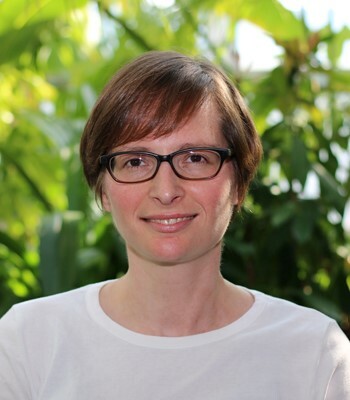 Ensminger Ingo Full Associate Professor UTM Physiology, Plant Biology Research in the Ensminger lab is focusing on the physiology of plants to understand the molecular, cellular and physiological mechanisms underlying adaptation and acclimation of plants to their environment. In particular we are interested in the mechanisms by which environmental change impacts trees and forests from molecular to species and ecosystem levels. The understanding of these mechanisms is not simply for scientific interest. It addresses some of the fundamental questions in global change research and is indispensable to the justification of how plants will respond to climate change. Erb Suzanne Cross Appointment Associate Professor UTSC Animal Biology, Neurobiology, Psychology & Behavior The neurobiology of substance dependence and the relationship between stress and long-term vulnerability to drug use. Espie George S. Full Professor UTM Biotechnology, Cell Biology, Microbiology, Molecular Biology, Physiology, Plant Biology, Structural Biology We are interested in the understanding the structure and function of the cyanobacterial CO2 concentrating mechanism and how it affects photosynthetic activity and photoautotrophic growth under a variety of environmental stresses. Fitzpatrick Mark J. Cross Appointment Assistant Professor UTSC Animal Biology, Evolutionary Biology, Functional Genomics, Genetics, Neurobiology, Psychology & Behavior Research in my laboratory focuses on the evolutionary genetics of animal behaviour. We focus primarily on the rover/sitter foraging polymorphism found in fruit flies." Fulthorpe Roberta R. Cross Appointment Professor UTSC Evolutionary Biology, Functional Genomics, Microbiology, Plant Biology Evolution of catabolic activities in bacteria of soils, waters and the plant endosphere. The role of Recombinase in Trio elements in catabolic gene evolution. Garside Christopher S. Full Associate Professor, Teaching Stream St. George Lecturer I am interested in finding ways to increase student engagement with lecture and laboratory materials by providing students with transferrable concepts and skills. Gazzarrini Sonia Full Associate Professor UTSC Cell Biology, Developmental Biology, Functional Genomics, Genetics, Molecular Biology, Plant Biology My research interests involve understanding the molecular mechanisms that regulate the transition from dormancy to germination and the role that hormones and abiotic stresses play in this processes. Gerlai Robert Cross Appointment Professor UTM Genetics, Neurobiology, Psychology & Behavior Neurobehavioural genetic analysis of zebrafish with a focus on alcohol effects, social behaviour, learning and memory. 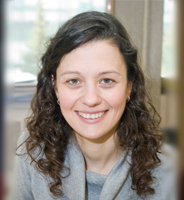 Gonzales-Vigil Eliana Full Assistant Professor UTSC Plant Biology, Functional Genomics, Molecular Biology, Metabolomics, Systems Biology, Biotechnology, Genetics How, when and why do plants synthesize metabolites that cure our illnesses and flavour our foods? The lab is figuring out the answers to questions realated to plant specialized metabolism. Goring Daphne R. Full Professor St. George Cell Biology, Molecular Biology, Plant Biology My overall research interests are to understand how plant cells communicate through signal transduction pathways to regulate plant growth and development in species in the mustard family (Arabidopsis, Brassica, canola). Guttman David S. Full Professor St. George Bioinformatics & Computational Biology, Comparative Genomics, Evolutionary Biology, Functional Genomics, Genetics, Microbiology, Pathology, Plant Biology Comparative, evolutionary and functional genomics. Evolution of host specificity and virulence in pathogenic bacteria. Microbiome studies of human and plant diseases. Guzzo Christina Full Assistant Professor UTSC Microbiology, Pathology, Cell Biology, Molecular Biology My research aims to delineate the molecular mechanisms of HIV-1 control and pathogenesis, including the role of host immune cell proteins (soluble and cell-derived) in altering HIV infection. Harris Tony J.C. Full Professor St. George Cell Biology, Developmental Biology, Molecular Biology, Systems Biology We study how molecular circuits control and coordinate cell polarity, adhesion, cytoskeletal and membrane trafficking machinery to build and re-shape cells during animal development. Harrison Rene E. Full Professor UTSC Cell Biology My lab uses advanced fluorescent imaging to study the cell biology of immune cells and bone cells under normal and pathological states. Hasenkampf Clare Full Professor UTSC Cell Biology, Genetics, Plant Biology Chromosome interactions during meiosis are the focus of the Hasenkampf lab. Hilfinger Andreas Cross Appointment Assistant Professor UTM Quantitative Biology, Systems Biology, Bioinformatics & Computational Biology We develop and test mathematical models to describe the significant stochastic variability observed across populations of genetically identical cells. Holmes Melissa M. Cross Appointment Associate Professor UTM Animal Biology, Neurobiology, Psychology & Behavior My primary research interest is the reciprocal relationship between social interactions and adult plasticity in the mammalian brain. Ito Rutsuko Cross Appointment Associate Professor UTSC Systems Biology, Psychology & Behavior, Neurobiology, Animal Biology We are interested in identifying brain circuits that underlie contextual and affective influences over motivated behaviour, and the neural and neurochemical mechanisms of approach avoidance decision making. We also use animal models of addiction, schizophrenia and depression to establish how approach-avoidance decision making is disrupted in diseased states. Kanelis Voula Cross Appointment Associate Professor UTM Structural Biology We study nucleotide binding domains (NBDs) from the sulfonylurea receptors (SURs). The SUR proteins, which are members of the ATP binding cassette (ABC) superfamily of proteins, form regulatory domains of ATP sensitive K+ channels. Mutations in the NBDs of the SUR proteins result in diabetes, hyperinsulinism, and cardiac disorders. Kohn Linda M. Cross Appointment Professor Emerita UTM Comparative Genomics, Evolutionary Biology, Plant Biology Fungal Biology: Systematics, Population Biology, Trophic Interactions, Experimental Evolution, Speciation. Kronzucker Herbert J. Cross Appointment Professor UTSC Biotechnology, Cell Biology, Chemical Biology, Metabolomics, Physiology, Plant Biology, Systems Biology My laboratory is dedicated to the exploration of transport systems in plants, and the relationship between transport pathways and plant productivity. Lange Angela B. Full Professor UTM Animal Biology, Molecular Biology, Neurobiology, Physiology I am an insect physiologist who studies how the nervous system and visceral tissues communicate and integrate information allowing for coordinated behaviours such as egg-laying, digestion, and circulatory function. Larsen Ellen W. Full Professor Emerita St. George Developmental Biology, Evolutionary Biology, Genetics Development of foliose lichens, self-organization in development and evolution. Mechanisms of environmental effects on the penetrance of mutations. Lovejoy Nathan R. Cross Appointment Professor UTSC Animal Biology, Bioinformatics & Computational Biology, Comparative Genomics, Evolutionary Biology, Functional Genomics, Genetics I am interested in the relationship between naturally occurring genomic variation and animal function. Current research focuses on the evolution of genes involved in electric signal production in Amazonian fishes. Lumba Shelley Full Assistant Professor St. George Comparative Genomics, Developmental Biology, Genetics, Molecular Biology, Plant Biology, Systems Biology Our goal is to elucidate molecular mechanisms underlying dormancy and germination in both non-parasitic and parasitic plants. We apply systems biology approaches to generate signalling networks during seed germination. Martin Loren Cross Appointment Assistant Professor UTM Neurobiology, Animal Biology, Psychology & Behavior, Molecular Biology, Physiology We investigate the relationship between stress and pain by looking at the neurological changes induced by chronic pain and how cognitive and social factors alter pain sensitivity. McCourt Peter Full Professor St. George Biotechnology, Chemical Biology, Developmental Biology, Functional Genomics, Genetics, Molecular Biology, Plant Biology, Systems Biology The laboratory is focused on how hormones regulate developmental responses in higher plants. In particular, we use functional and chemical genomics approaches to dissect abscisic acid (ABA) and strigolactone signaling. McGowan Patrick O. Full Associate Professor UTSC Animal Biology, Bioinformatics & Computational Biology, Functional Genomics, Genetics, Neurobiology, Physiology, Psychology & Behavior, Systems Biology Epigenetic mechanisms of neurodevelopment and behaviour. Focus on molecular mechanisms that mediate the adaptation to psychosocial stress and complex disease in humans and other species. McMillen David R. Cross Appointment Associate Professor UTM Bioinformatics & Computational Biology, Biotechnology, Quantitative Biology, Synthetic Biology, Systems Biology Systems and synthetic biology. Design, construction, and analysis of synthetic networks (feedback controllers, logical operators, etc.) in microorganisms and (through collaboration) mammalian cells, to alter cellular behaviour from within. Moses Alan M. Full Associate Professor St. George Bioinformatics & Computational Biology, Comparative Genomics, Evolutionary Biology, Microbiology, Molecular Biology, Proteomics, Systems Biology DNA and protein sequences that control gene regulation. Population genetics and molecular evolution of regulatory networks. Development of computational and statistical methods for analysis of large biological datasets. Nambara Eiji Full Professor St. George Biotechnology, Chemical Biology, Comparative Genomics, Functional Genomics, Genetics, Metabolomics, Molecular Biology, Plant Biology, Systems Biology My research team investigates molecular mechanisms by which plants regulate plant hormone metabolism. Nash Joanne E. Full Associate Professor UTSC Neurobiology We employ a multidisciplinary approach to understand the cell and molecular mechanisms underlying neurological diseases such as Parkinson's disease. It is hoped that these studies will lead to better treatments for patients suffering from these diseases. Neumann Melody J. Full Associate Professor, Teaching Stream St. George Lecturer My primary research interest is the scholarly and scientific analysis of teaching practices to improve student learning in cell and molecular biology. 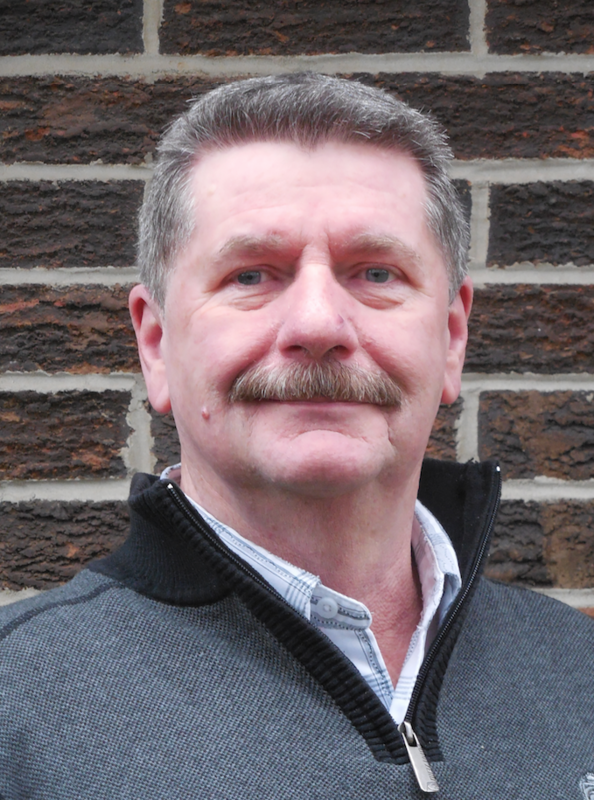 O'Day Danton H. Full Professor Emeritus UTM Cell Biology, Developmental Biology My lab focuses on the role of calmodulin binding proteins in cellular function. Ouellette B.F. Francis Full Associate Professor St. George Bioinformatics & Computational Biology The Ouellette group is involved NGS data analysis in cancer, and we try to identify the best tools and methods for the functional genomic interpretation of cancer genome data. Phillips Michael Full Assistant Professor UTM Cell Biology, Chemical Biology, Metabolomics, Molecular Biology, Plant Biology, Quantitative Biology, Systems Biology My research focuses on the control of flux in plant metabolic networks and the adaptive responses of the plant metabolome to stress at the interface of primary and secondary metabolism. Plotnikov Sergey V. Full Assistant Professor St. George Animal Biology, Cell Biology, Developmental Biology, Quantitative Biology We are interested in understanding the mechanisms utilized by mammalian cells to sense and transduce physical inputs from the microenvironment and how cell migration is guided by the mechanical cues. Provart Nicholas J. Full Professor St. George Bioinformatics & Computational Biology, Comparative Genomics, Functional Genomics, Molecular Biology, Plant Biology, Structural Biology, Systems Biology Bioinformatic tools and analyses for hypothesis generation in plant biology. Wet-lab validation of hypotheses generated using such tools. Reber Michael Cross Appointment Associate Professor St. George Systems Biology, Molecular Biology, Bioinformatics & Computational Biology, Cell Biology, Psychology & Behevior How is the visual system network wired? How does it function? These are the questions we are addressing in the lab, using state-of-the-art experimental and computational approaches. Richards Blake A. Full Assistant Professor UTSC Bioinformatics & Computational Biology, Developmental Biology, Neurobiology, Psychology & Behavior, Systems Biology My lab studies the neurobiology of learning and memory. We take a multidisciplinary, circuit-level approach to examine how neurons encode information about our past experiences. 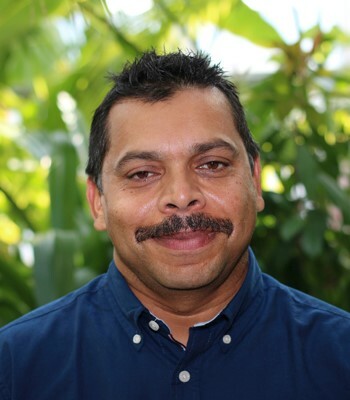 Ryu William Cross Appointment Assistant Professor St. George Microbiology, Neurobiology, Quantitative Biology, Systems Biology We are interested in the biophysics of sensory transduction and behaviour. Senatore Adriano Full Assistant Professor UTM Animal Biology, Bioinformatics & Computational Biology, Cell Biology, Evolutionary Biology, Functional Genomics, Neurobiology, Physiology, Proteomics We seek to understand the function and dysfunction of several ion channels that play important roles in the nervous system, and further, how these and other electrogenic genes were adapted during nervous system evolution for complex cellular coordination and animal behavior. Through a broad phylogenetic approach, we explore the functional and physiological properties of 1) voltage-gated calcium channels that drive muscle contraction and neurotransmitter release, 2) peptide and acid-gated ion channels (i.e. DEG/ENaC) involved in pain signaling, learning and memory, and synaptic transmission, and 3) the sodium leak channel NALCN, involved in circadian rhythm, neural excitability, and sensitivity to anesthetics. Researchers in the lab integrate a broad range of techniques using several animal model systems, including behavioral analysis, microscopy, molecular biology, electrophysiology, cell culture, proteomics, and genomics/transcriptomics and bioinformatics. 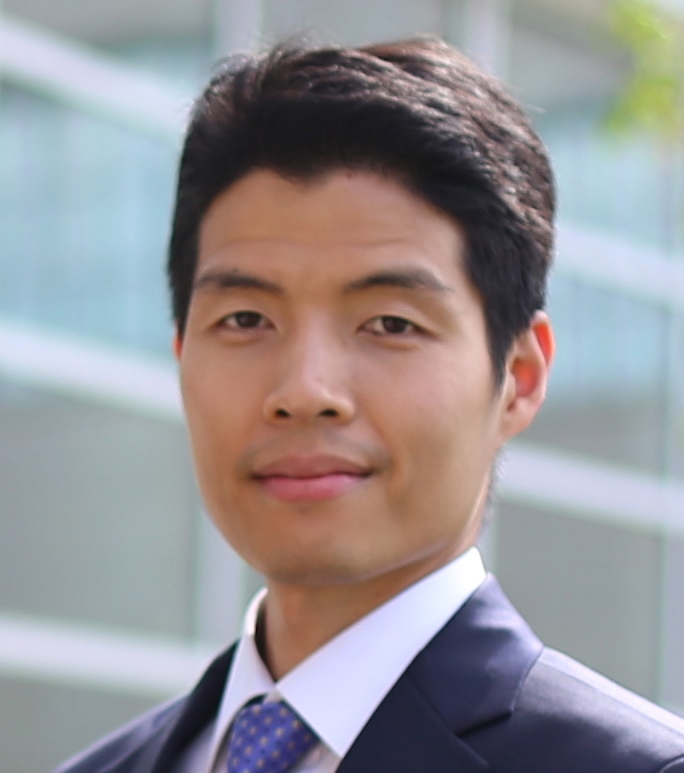 Shin Jumi Cross Appointment Associate Professor UTM Protein design and engineering Directed evolution Artificial transcription factors Our work uses molecular and cellular biology and biophysical approaches to design small proteins that target DNA sequences important in disease. For example, our 66 amino acid protein ME47 targets the E-box sequence, which is involved in over half of all cancers, and competitively inhibits native transcription factors from binding their DNA targets. ME47 can be used to modulate breast cancer cell growth in mouse models. We also study how continuous exposure to pollutants, like quantum dots, can cause organisms to genetically adapt. Sokolowski Marla B. Cross Appointment Professor St. George Prof Sokolowski's lab is interested in individual differences and behaviour and how they arise. They mostly use Drosophila to investigate gene by environment interactions and epigenetics around the regulation of individual differences in foraging, feeding, metabolism as well as learning and social behaviour. 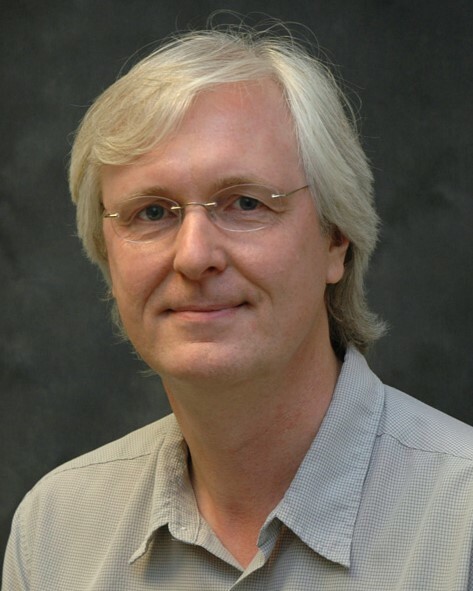 Stewart Bryan Full Professor UTM Animal Biology, Cell Biology, Neurobiology, Physiology Our research is aimed at understanding the cellular and molecular mechanisms that govern the function and development of neurons. We use a variety of genetic, molecular, biochemical, imaging and physiological techniques aimed at determining how neurons communicate with other cells. Subramaniam Gopal Adjunct Appointment Senior Scientist St. George Chemical Biology, Comparative Genomics, Functional Genomics, Genetics, Microbiology, Molecular Biology, Pathology, Plant Biology My Laboratory studies regulation of secondary metabolism and virulence in the phytopathogen Fusarium graminearum. Takehara-Nishiuchi Kaori Cross Appointment Associate Professor St. George Animal Biology, Neurobiology, Physiology, Psychology & Behavior My research program aims to understand how the cortical network stores a permanent record of daily experiences and how it deteriorates in memory disorders. Tepass Ulrich Full Professor St. George Cell Biology, Developmental Biology, Functional Genomics, Genetics, Molecular Biology, Systems Biology We study the mechanisms of cell polarity and cell adhesion of epithelial cells during animal development. Our work is relevant for several human diseases, in particular cancer and blindness. Terebiznik Mauricio R. Full Associate Professor UTSC Cell Biology, Microbiology, Structural Biology My laboratory specializes in cellular microbiology and cell biology. We investigate different unexplored aspects of the interplay of macrophages, and epithelial cells with intracellular pathogens and toxic fibres like asbestos. 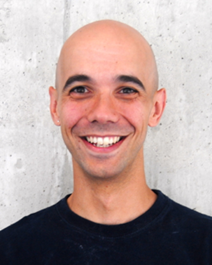 Thiele Tod Full Assistant Professor UTSC Neurobiology, Psychology & Behavior, Systems Biology Our research uses zebrafish to investigate how neural circuits control behaviour. To gain insights into neural circuit function we use a combination of behavioural analyses, calcium imaging, optogenetics and genome engineering. Tobe Stephen S. Full Professor Emeritus St. George Animal Biology, Neurobiology, Physiology Comparative endocrinology of invertebrates, particularly Arthropods. Reproduction in insects and crustaceans. 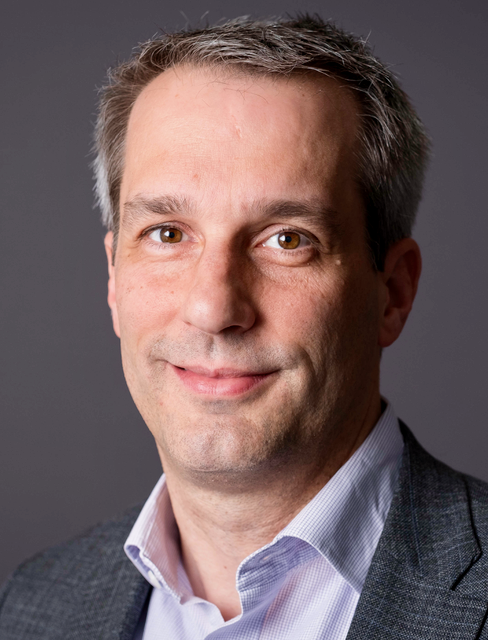 Treanor Bebhinn Full Associate Professor UTSC Cell Biology My research focuses on the cellular and molecular mechanisms controlling immune cell activation through the development and implementation of cutting edge optical microscopy. Vanlerberghe Greg C. Full Professor UTSC Plant Biology We investigate the impact of abiotic and biotic stress on plant energy metabolism. We uncover the signature responses of metabolism to stress and elucidate how these responses support stress acclimation. Varmuza Susannah L. Full Professor Emerita St. George Developmental Biology, Genetics, Molecular Biology My research area is Epigenetics, with a focus on genomic imprinting in mammals and its impact on development. Welch Kenneth C. Full Associate Professor UTSC Animal Biology, Evolutionary Biology, Physiology, Systems Biology I use and integrative and comparative approach to study the physiology of muscle function, fuel use, metabolism and energetics during locomotion. Westwood J. Timothy Full Associate Professor UTM Bioinformatics & Computational Biology, Developmental Biology, Functional Genomics, Molecular Biology, Systems Biology The Westwood lab primarily studies the regulation of gene transcription, using the Drosophila heat shock genes as a model system, as well as post-transcriptional gene regulation during early Drosophila embryogenesis. Winklbauer Rudolf Full Professor St. George Cell Biology, Developmental Biology, Quantitative Biology We study the molecular and cellular mechanisms and the tissue mechanical basis of vertebrate gastrulation. Woodin Melanie A. Full Professor St. George Cell Biology, Neurobiology The Woodin Lab is focused on discovering the cellular mechanisms underlying inhibitory GABAergic synaptic plasticity in the hippocampus. These discoveries are made by combining cell biology, fluorescence imaging, computer modeling, and electrophysiology and optogenetics. Yoshioka Keiko Full Professor St. George Biotechnology, Cell Biology, Functional Genomics, Genetics, Molecular Biology, Plant Biology, Structural Biology, Systems Biology Signal transduction of stress responses in plants with an emphasis on immunity; environmental effects on pathogen resistance; signal transduction networks in abiotic and biotic stress responses; production of stress resistant plants. Zhao Rongmin Full Associate Professor UTSC Developmental Biology, Molecular Biology, Physiology, Plant Biology, Proteomics, Systems Biology The mechanism of action of molecular chaperones and their roles in plant development, and in organelle functions; the mechanism of regulated protein degradation by the 26S proteasome. Zhen Mei Cross Appointment Professor St. George Neurobiology, Developmental Biology, Systems Biology, Genetics, Quantitative Biology, Bioinformatics & Computational Biology We combine electron microscopy, genetics, genomics, optogenetics, calcium imaging, and electrophysiology to study how a neural circuit develops and operates, and apply C. elegans models to study neurological disorders. Zovkic Iva Cross Appointment Assistant Professor UTM Neurobiology, Animal Biology, Psychology & Behavior, Epigenetics Epigenetic mechamisms of learning and memory in rodents; role of histone variants in memory formation and maintenance; age-related cognitive decline.